Andhra Pradesh which is popularly known as food pot of Andhra Pradesh has now turned its name Annapurna true. 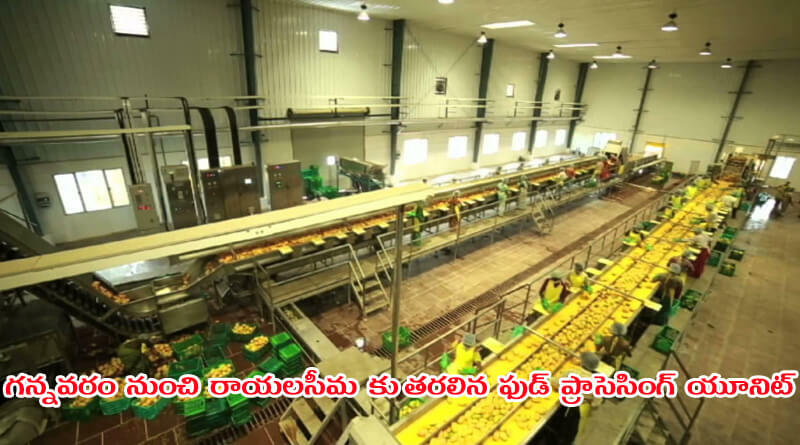 The government has moved its leg forward to bring up food processing society AP. The entire state of Andhra Pradesh will be throbbing with food processing industries with the AP Food Processing Society, comes under Industrial Department, and bears fruit. According to Food Processing Society chief executive officer, Rayalaseema region is set for a makeover with a whopping Rs 400 crore food park coming up in Kurnool to process banana which grows abundantly in the region. Speaking to the media persons here on Monday, Prasad said that at least 20 truckloads of bananas are being sent out of Rayalaseema to other districts and if value addition is done, not only the industry but also the farmers would stand to gain huge benefits which make them happy. The food park would protect the fruit from getting damaged and also help in value addition which means that the farmers would get more than what they are getting now for the produce. Now, the government even planned to establish food processing industry at Gannavaram of Andhra Pradesh to protect paddy from getting damaged and store it well till it gets exported to foreign. Even the port near Kakinada and Machilipatnam helps for easy transport of products stored at Gannavaram says officials.